The days are long, the weather is warm, and the rain has (mostly) abated here in the PNW. There's no doubt: summer is here! And with it, prime hiking season. We asked Joanna Van Ronk, manager at TreeHouse Point and avid hiker, to share her favorite local hikes. These are perfect day trips for guests looking to get out and up into the mountains during their stay at TreeHouse Point. Hesitating to book a weekday stay? Weekdays are often the best time to come if you’re interested in hiking, as routes are much more crowded on the weekend! Read on for Joanna’s hiking recommendations and click here to learn how to book a summer stay at TreeHouse Point. When guests ask for hike recommendations, I suggest routes that will be rewarding regardless of the weather. I typically also recommend hikes that are no more than moderately demanding so that hikers will have plenty of energy for more activities afterward. My number-one suggestion for a hike near TreeHouse Point that fits these qualities is Twin Falls. Twin Falls is the quintessential Washington hike. 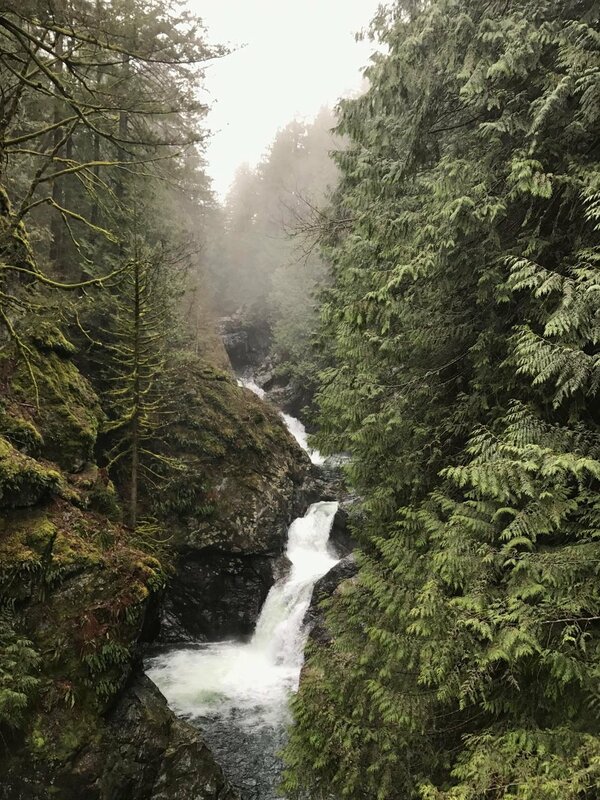 With an abundance of nurse logs and mossy trees, the hike up to the falls has picture-worthy moments around every corner. For an extra adventure, there are many side trails that lead away from the main path and to the river. You can (carefully) hop from rock to rock on the river to gain a sweeping view of the large waterfall. As you continue up and away from the river, you’ll reach a set of wooden stairs. Don’t miss these stairs, as they lead to what I consider the main destination of the hike: a view of the falls up-close! Stop and take in the strands of water as they cascade down the rocks into the river below. Then head back up the stairs and continue up the trail away from the trailhead. Eventually, you’ll reach a bridge that is on top of the waterfall you were viewing. Turn around and you’ll see a second waterfall. These two spectacular falls are the namesake behind the hike. For an extended list of my favorite local hikes, please see the chart below and click here for more detailed information. You will need passes to access many of these hikes; the required passes can be purchased at R.E.I. in Issaquah or the Chevron in North Bend. For the Twin Falls hike, you can purchase your pass at the trailhead with a credit card. All the information in this chart comes from wta.org. 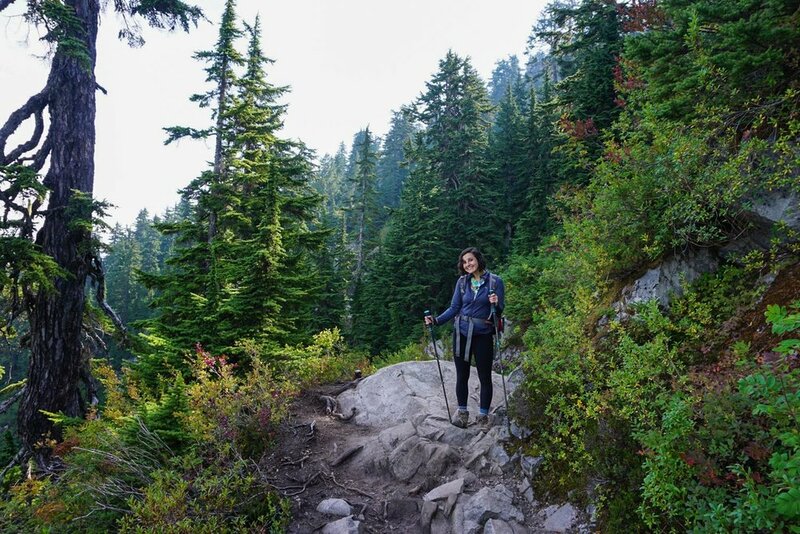 WTA, which stands for Washington Trails Association, provides free and comprehensive information on hiking in the state. I particularly like to reference their hike-finder map, trail descriptions, and the reports and tips other hikers provide about trails they’ve completed. I strongly encourage you to check WTA’s website before embarking on any hike, as it may provide important notices about road and trail closures or pending weather changes. 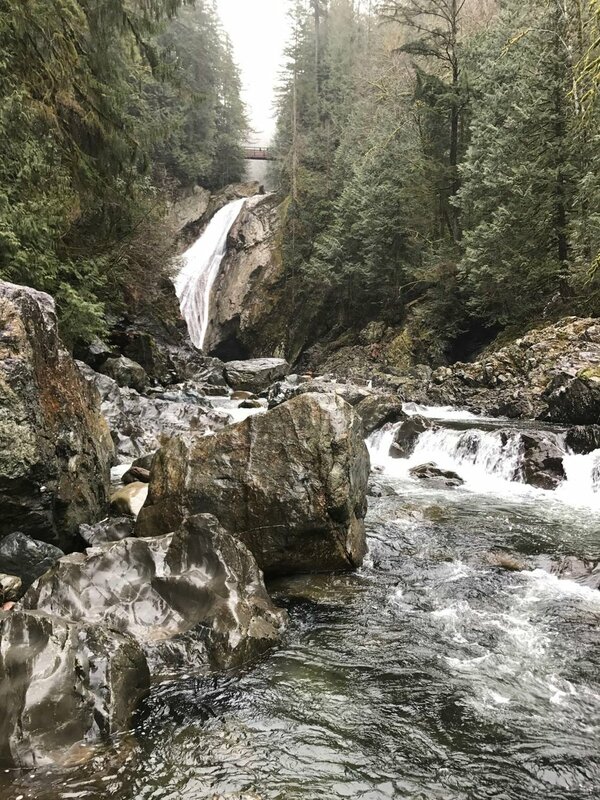 For example, last year’s snowfall transformed Franklin Falls from a simple two-mile roundtrip hike into a nine-mile ordeal, as snow blocked the road leading to the trailhead. Please read trail descriptions, check weather forecasts, and plan accordingly. Another great resource WTA offers is the “Trail Smarts” section where you can find useful information about how to be an educated and respectful hiker. Please be safe and enjoy the natural beauty of the Pacific Northwest! We hope you've found this guide to local hikes useful! To find out how to book a stay at TreeHouse Point, check out this blog post.